Since 1962, Sorel has been in the business of producing the highest-quality winter boots for men, women, and children. While the company is considered one of the leading lights in the world of winter footwear, their offers over the years have expanded noticeably. If you happen to love your Sorel boots, it’s time to consider other footwear that would provide you with the same level of comfort and support. Here are just a few examples of what you will find in the way of Sorel footwear today. There is no doubt that the winter boots made by Sorel remain the foundation of the company’s offerings. What some people may not know is that there are also boots for men and women tailored for wear during other seasons. 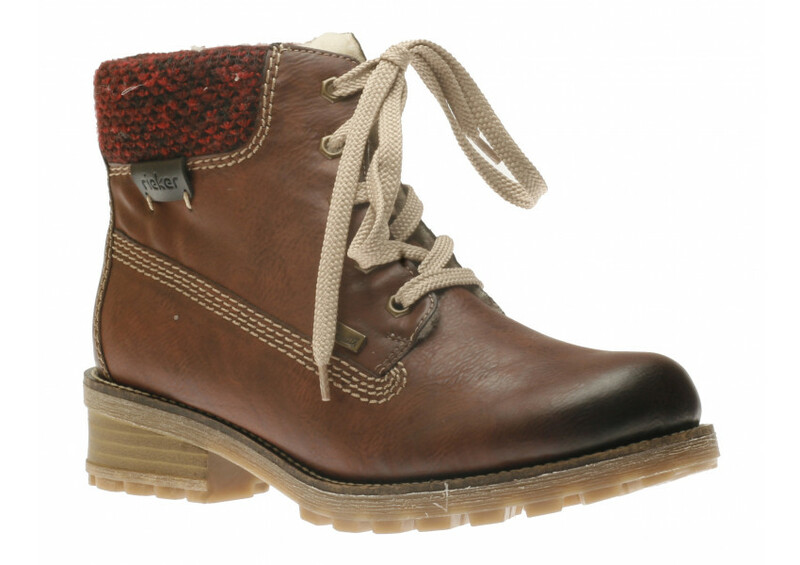 These boots use many of the same high-quality materials for the cushioning and the body of the designs. What’s different is that the fleece used to line the winter boots will not be found in the designs offered for spring, summer, and autumn wear. You can expect to find lace-up designs that add another touch of visual appeal to your outfit. The leather or suede is supple and soft to the touch. You’ll even be able to buy these versatile designs in a variety of colors. That makes it easy to match them with everything from business attire to your favorite pair of jeans. Would you like to have a pair of slippers that feel just as comfortable as the Sorel footwear you rely on during the winter? If so, you need to check out the slipper designs offered for men and women. Sorel provides slippers in traditional styles that gently envelope the feet and provide just the right amount of padding to keep them comfortable. Some of the designs include the fleece you have come to expect while others are intended to keep your feet comfortable during the warmer months of the year. Consider investing in a pair of Women’s Out N About Felt Moccasins for puttering around the house during the spring and the fall. Men can enjoy the comfort and style of the Sorel Dude Moccasin with the beautiful stitching and just the right amount of arch support. You can also find a number of designs for shoes that are ideal for all sorts of social events. Like all the other offerings provided by the company, the eye is on comfort, quality, and appearance. If you are a woman who enjoys wearing chunky heels, check out the Addington Cuff offered by Sorel. The open toe and heel design makes it perfect for warmer weather. It’s dressy enough to wear with some of your office outfits and fun enough to look great with your summer shorts and skirts. The detailing also includes a higher strap that provides additional support for your ankles. You can purchase the Addington Cuff in basic black, making it a versatile solution for many of your outfits. If you prefer a spot of color, go with a combination of dove gray with a bit of zest. The combination helps to call more attention to the feet without taking away from the rest of your attire. Men who like the idea of a durable casual shoe will find that the Sorel Madson Wingtip Lace is a great option. Available in black, chipmunk, and madder brown, it’s a great choice for simplicity and style at the same time. you’ll find this design is ideal for casual day at work. The shoe will be a great choice to go with your tailored summer shorts or jeans as well as those khakis you like to wear for casual day. Thanks to the traditional masculine look and feel of these shoes, you will find that the rugged look is one you will enjoy for years. That’s a good thing since all of Sorel`s shoes are crafted to last for a long time. When spring fades away and summer is on the horizon, your thoughts turn to more outdoor activities. That’s when you begin to think about finding a few pairs of sandals that will be right for just about any activity one can imagine. You’ll want sandals to wear while shopping, visiting the lake, or taking a walk in the park. The good news is that Sorel can provide you with a wide range of sandal styles. If you happen to prefer flats, the Torpeda or Joanie lines are worth considering. From simplistic designs to styles that are intended to add some visual interest along with the comfort you desire, the flats will flatter just about any foot. Maybe you are more of a wedgie type. Sorel offers several designs in different colors that are sure to work with most of the summer clothing in your wardrobe. Some styles offer additional support for the heel and ankle, something that you will enjoy if you plan on being on the go for most of the day. There are also sandals with low heels to consider. These are great when flats are not quite to your liking but the idea of wearing something with spike heels is out of the question. The same quality materials used for other shoe designs are also included in all the sandals. This makes them one of the best choices on the market. You will even find they compare favorably with the Geox womens shoes you purchased last year. If you have always thought that Sorel was only a good choice for winter boots, today is the right time to go out and learn more about what they have to offer. You will be surprised at how many designs are ideal for men, women, and children of all ages. All it takes is a little time to browse through the various collections, see what types of designs appeal to you, and then arrange to purchase a pair. Once you try that first pair, it will be an easy decision to go back and buy a few more that you can enjoy any time of the year. These Shoes Were Made For Walkin’! Just about everyone has at least one pair of shoes they bought because of the look. How they felt was of secondary importance. While that may be fine for an hour or two, it quickly becomes apparent that comfort is just as important as looks. One of the best ways to take proper care of your feet and still have the look you want is to focus on shoes that offer both qualities. When your closet is filled with shoes suitable for different occasions and they all provide the support and comfort you need, the day will go a lot better. Here are some examples of what qualities you want in shoes to achieve this perfect balance between appearance and comfort. If there is one single quality that impacts how the shoes look and what they feel like when you wear them, it’s the materials used in the design. The fact is that opting for materials that are cheap in quality may produce a shoe that looks just fine on the rack, but your feet will suffer every time you try to wear them. What you need is shoes that are made with only the best materials. One way to go is to consider the different designs offered by Mephistos Shoes. There are plenty of styles for both men and women so you will be easy to find something with relative ease. The range of designs is also something you will want to consider. Mephisto has designs for casual wear for those days when you feel like going shopping or need to run errands, sporty designs that look great when you go to the lake, practical shoes for camping and similar events, and even something that looks great in the office. Consider the Frayne Black as the perfect shoe for the workplace. This classic design certainly fills the bill for providing the right look. At the same time, you’ll notice that the shoe material fits snugly but comfortably on your foot. The arch support is definitely there and the cushioning will make it easier to be on the run at work all day without having tired feet after eight hours. For more casual occasions, The Hannel Black Nubuck is one of the most attractive sandals one could imagine. You’ll find the design to be comfortable and the strategic placement of straps does more than keep the sandal in place. They also help to boost the support to your instep and keep the sandal from rubbing against the skin. You can spend an entire day going from one yard sale to the next and never feel as if your feet could use a break. While you may already understand how the right shoes will ease stress on the arches, did you ever think about what shoes can do to take pressure off the ankles? The fact is that when a shoe has the right type of support for your instep, the arches, and provides a reasonable amount of cushioning, the tension on your ankles is minimizes. That will help reduce the odds of experiencing pain in the lower legs while you go about any activities planned for the day. Boots are wonderful for a number of situations. The right ones will look just fine when you wear them for a date or while running errands. Women will find that Merrell Shoes offers designs that provide the proper amount of support to reduce the potential for foot and leg pain while feeling great all day long. Consider the possibility of wearing a pair of Encore Apex Black boots all day long. The design looks wonderful with more casual outfits and will certainly provide the comfort and support you crave. Thanks to the design, you also don’t have to worry about your feet getting wet if you are caught in the rain or getting a little cold during the winter months. Your feet will remain dry and just the right temperature all day long. Men will also like the qualities found in different boot designs offered by Merrell. Take the Cham Thermo 8 Black for example. The rugged look is perfect for an evening out with friends, a weekend camping trip, or taking care of some chores around the house that require proper protection for the feet. Through it all, the support offered by the design ensures that your feet and lower legs won’t feel worn out by the time you are ready to end the day. You spend a considerable amount of time at work. Since business attire is required, you have to pay close attention to the look of your footwear. At the same time, you need the shoes to be comfortable. That’s where shoes by Rieker come into the picture. Men will find that options like the Micheal Black will work nicely. Sporting a classic look with just enough stitching to add some visual interest, the shoes provide excellent cushioning that makes it easy to feel comfortable while you are at your desk or when it’s one of those days when you need to run back and forth from one office to the next. You’ll also find this shoe gives the support you need if your business day includes making several visits to local clients. Women can also enjoy Rieker shoes that are suitable for the workplace. The Louise Black sports a lower heel that places less pressure on the legs and provides the right amount of support for your arches. The shoes include padding that helps to cushion the feet as you walk across carpeting, polished concrete, tile, or whatever type of flooring is used in the office. If you need to go out to run errands or meet a client for lunch, these shoes will feel comfortable every step of the way. Shoes that look great are wonderful, but shoes that look great and are made for walking are even better. Take your time to learn more about the top brands and what they have to offer. It won’t take long until you have a pair that’s just right for your needs. While many men like to keep the number of shoes in the closet to a minimum, it pays to have something that works for all sorts of occasions. The season of summer offers the opportunity to participate in a number of activities and it pays to have the right footwear for each of them. Here are examples of four different types of men’s shoes that need to be in your closet this summer as well as the rest of the year. You wear a coat and tie to work Monday through Friday and your choice of shoes must be in line with the rest of the dress code. While you like the idea of wearing something that reflects your personality, it’s also important to go with a shoe design that fits in with the setting and provides the comfort that you require. One way to go is to check out the different designs offered by Rieker. The classic colors will blend right in with the rest of your business attire while the designs provide the support you need to remain comfortable. Best of all, the quality of the material makes it easy to keep the shoes looking their best. That’s important since you don’t want to spend a lot of your time out of the office taking care of your shoes. Once the workday is over, it’s time to have some fun. During the summer, there are all sorts of places to go and things to see. You need casual shoes that will be ideal for strolls along the lake, a trip to the park, or relaxing in a local sports bar. 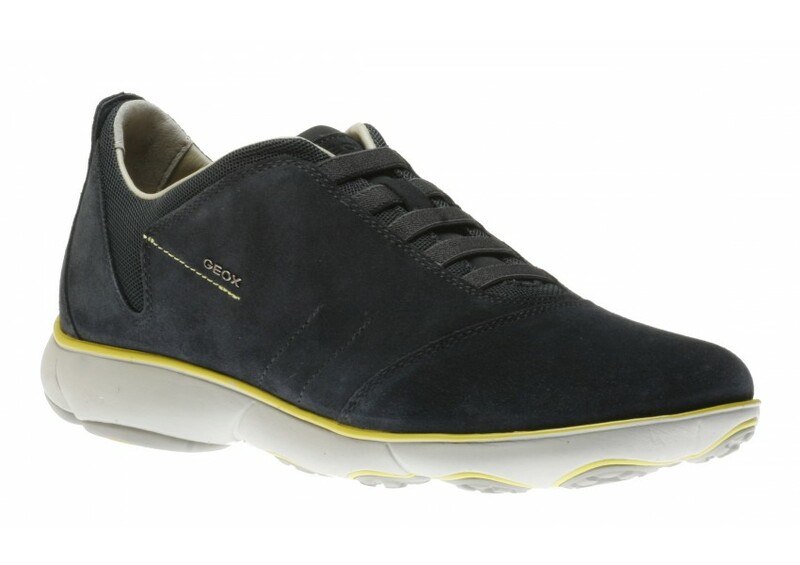 You’ll find that Geox has some great designs that work fine for all sorts of casual events. Whether you are the kind of guy who likes to wear jeans away from the office or if cargo or some other type of shorts is part of your standard summer uniform, there are Geox men’s shoes that are perfect for the occasion. You can go from simple slip-on designs that are comfortable and add a bit of style or go with comfortable sandals that allow your feet to breathe after being in a pair of business shoes all day. Your workout routine includes walking, running, and spending some time at the gym. It’s a good idea to have the right type of shoes for each segment of your workout. That’s a fact that is often overlooked by people who believe one pair of shoes will do for all three types of exercise. Since you want to invest in workout shoes that will hold up well and provide the support you need, it pays to look at what New Balance Shoes has to offer. You’ll find options for running shoes that help to absorb some of the shock on your feet and legs. That allows you to run for a longer amount of time without experiencing cramps or having to deal with unnecessary soreness later on. New Balance will also have shoes that are ideal for your time in the gym. They will help keep your feet cool and provide the support your arches and insteps need for each routine. What would summer be without at least one camping trip? You already know that hiking will be part of the agenda, so invest in a pair of boots that will ensure your feet and legs are properly protected from brambles and other potential threats. Designs by Sorel will provide the protection you need along with the comfort you desire. Those walks through the woods and the time spent around the campfire will be more fun when your feet don’t hurt. Choose your summer shoes with care and you will be prepared for just about anything. Best of all, the right shoes will hold up well enough to last for several years. That’s a good investment in the health of your feet as well as making sure you are comfortable no matter how you spend your days. People tend to ask a lot of their shoes. They must provide the comfort necessary to wear them for long hours during the week and even on weekends. There is also the need for the shoes to come in attractive styles and colors fit for just about any occasion. Some events also call for footwear with an elegance that’s in keeping with the nature of the occasion. Fortunately, there are three brands that can provide you with whatever is needed. The first shoes made by Clark entered the market in 1825. Cyrus and James Clark of Street, Somerset, England wanted to create footwear that combined durability, style, and quality while keeping the price reasonable. To this day, Clark Shoe is turning out footwear that is ideal for just about any event one can imagine. When you go with Clark, there’s almost 200 years of experience behind every shoe. The range of styles is so broad that it would be possible to find something appropriate for everything from shoes for the workplace to something that is ideal for weekend camping. From casual to formal, you can’t go wrong with this brand. With Naturalizer shoes, the emphasis may be on comfort but that doesn’t mean sacrificing style or support. These shoes first entered the market in 1927 and never left. From the beginning, the brand established a reputation of being the shoe with the beautiful fit. In other words, Naturalizer told women they could have shoes that didn’t pinch or cause any pain while still looking their best. Wedges, heels, and flats are all part of the Naturalizer line. It’s easy to find selections that are just dressy enough for the workplace without being too formal. You’ll also find plenty of casual designs that are perfect when you want to go have a little fun. From sandals to something that is right at home at a formal event like a wedding, this brand will be there for you every time. 1963 was the year that Karl Toosbuy launched his first shoe design and things have never been the same since. Founded in Bredebro, Denmark, the focus with Ecco Shoes for women was on combining comfort with elegant styling fit for any occasion. Many of the designs require using only the best leather available. You’ll find designs that are perfect for slipping on and enjoying a picnic at the park with friends, attending a sporting event, or spending the afternoon doing a little shopping. When Monday comes, there are designs that work nicely with your work outfits and provide your feet with the support they need. There is no reason to deal with lesser shoes that may look fine but leave your feet feeling weary at the end of the day. With these three brands, you can depend on always having access to footwear that’s right for the occasion, provides the support your feet need, and look great at the same time. Check out some of the designs today and give them a try. Once you see how well that first pair is working, you’ll want to go back and try another. After the cold winter months, it’s time to get out and enjoy the sunshine. That means enjoying walks in the evenings, the mornings, or any time that fits into your schedule. To ensure that your walking experience is the best, it pays to invest in the right type of footwear. Here are some suggestions to keep in mind. You won’t have any problem finding several different Rieker shoes that are ideal for making the most of those walks. There’s something that’s right for all sorts of situations, including people who are just getting back into the habit of going on walks. Perhaps you could use a little extra in the way of support for your ankles. The high-top design of a Ravenna Steel is just the thing. The combination of laces and zippers makes it easy to adjust the fit around the ankle so it’s snug without putting too much pressure on the joint. Along with the fact that the shoe allows for easy air circulation around your foot, the design reduces fatigue and will minimize the chances for foot cramps as you get back into the habit of a daily walk. Another approach you can consider is checking out the Geox footwear designed especially for taking long walks. The right type of support for your arches is important and going with the D Omaya A is a smart move. The design provides support that alleviates the potential for pain in your arches, even if you decide to walk an extra mile. Thanks to the comfort, your feet will not feel tired or sore the next morning. Available in off white and black, it won’t be hard to choose a pair that looks great with whatever you like to wear during your walk. Another brand that is known for offering quality walking shoes is Romika. Known for only using quality materials for their designs, there are a number of Romika shoes that are ideal for taking a nice long walk in the park, around the neighborhood, or on the walking track at the health club. One design that is worth checking out is the Helena 01. The appearance is simple with clean lines that make it ideal for just about any casual occasion. There is plenty of arch and heel support with the Helena 01, something that will ensure you get to walk in comfort. The fact that the shoe is also easy to keep clean will make it all the easier to look your best as you walk your way back to fitness. Now is the ideal time to begin shopping for one or two pairs of walking shoes. Take your time and pay close attention to the features offered by these brands. After you try that first pair of walking shoes, you’ll find that getting out and enjoying the fresh air and sunshine will be easier and a lot more fun. While it may be tempting to purchase shoes that come with a low price tag, it pays to consider what sort of health issues you could develop as a result of wearing the wrong type of footwear. Since you want your feet to last a lifetime, it makes sense to choose proper footwear that offers all the qualities needed to promote the health of your feet. Here are three common ailments that you are more likely to avoid if you invest in the right type of shoes. There are multiple reasons why your arches may fall and result in what is known as flat feet. One of them has to do with wearing shoes that offer little to nothing in the way of arch support. Over time, the strain will begin to affect the arches and lead to recurring pain. Your best bet is to put those bargain shoes back on the shelf and turn your attention to a brand that is known to provide the level of support your feet deserve. Naturalizer shoes are excellent examples of footwear that ease stress on your arches and minimize the chances of developing flat feet. You don’t have to be an athlete to develop this condition. All you need to do is spend day in and day out wearing a pair of shoes made from materials that prevent proper air circulation. Over time, the moist environment in those shoes will begin to affect the feet and leave you with this condition. This is true even if you are diligent about washing your feet every night. Choosing to purchase brands made with high-quality materials like leather will reduce the risk of developing athlete’s foot. Consider checking out what Geox mens shoes will do in terms of making sure your feet can breathe. Along with preventing this condition from developing, the aroma when you take off your shoes will be less pronounced. Did you know that shoes constructed with cheap materials can lead to or exacerbate circulation issues? That means the bones and tissue composing your feet will not receive the nutrients needed to remain healthy. By contrast, if you invest in shoes that help to promote circulation, your feet will remain in great shape for many more years. Keep in mind that people with diabetes are not the only ones at risk for reduced circulation in the feet. People with many other types of ailments also have to be mindful of this problem. If you happen to have any issue that interferes with circulation, consider purchasing a pair or two of New Balance shoes. You’ll notice the difference quickly in terms of comfort and minimize the chances of developing decreased circulation. No one realizes how important the feet happen to be until some sort of ailment develops. Take proper care of yourself and ensure that only the right type of shoes are worn at all times. In the years to come, you’ll be glad that you paid more attention to quality and less to the price. There’s no such thing as a single pair of shoes that will take you everywhere. Along with making wise choices about your clothing, it pays to keep the right type of footwear on hand for different occasions. By making the best choices, you will be ready for any type of event that comes your way. Here are some examples to keep in mind. You want to look your best in the workplace, even if the only people you ever see are your coworkers. There’s something about office attire that seems to help people feel more professional, in control, and focused. For this application, it helps to invest in Ecco shoes that provide just the right touch. You’ll find that they come in a number of styles and colors, so there will be no problem finding a pair or two that work quite well with all of your work clothing. Keep in mind those same shoes will also work well for social occasions that require dressing up a bit. For example, think of what you would wear on a first date. Many dates of this type involve going to a nice restaurant or some other venue that requires apparel that’s a lot like what you wear to work. Just as those shoes are ideal for the office, they will be just right for your date. You really don’t want to wear your dressier shoes when you meet friends at the pub, attend a sporting event, or go grocery shopping. Even so, you want your feet to be comfortable. It doesn’t hurt if the shoe design is also stylish. One solution is to invest in a couple of pairs of SAS Shoes. Designed to last and with comfort as a priority, you’ll find that these shoes will be ideal for wear on evenings and weekends. Any casual setting, up to and including taking a walk after the evening meal, will be ideal for these shoes. When you have an invitation to a black tie event, those office shoes aren’t quite dressy enough. You need something that’s more formal. Choosing to invest in a pair of Clarks shoes is the way to go. There will be no need to sacrifice comfort for style. Thanks to the use of only the best materials, it will be easy to be on your feet for as long as necessary. Whether you are sitting at a table, dancing, or doing your bit as the master of ceremonies, your feet will feel just fine and look their best. Remember that no wardrobe is complete without shoes that are suitable for most occasions. Take the time to check your current collection and see what’s lacking. You may find that now is the ideal time to do a little shoe shopping and be ready for whatever event comes your way. When summer arrives, many people who usually exercise outdoors tend to neglect their exercise routines because it is simply too hot to train. However, this move may not always be necessary if you implement a few of these handy tips into your daily workout. It is crucial to apply sunscreen before heading out with your new Keen shoes to do a summer run – especially if it is cloudy. When applying sunscreen, be sure to include the top of your ears, the back of your hands, shoulders, neck, forehead and entire face. This will go a long way in preventing melanoma in later years. Although it’s important to remain hydrated all year round when running, this becomes even more essential during summer. If you struggle to carry a water bottle on your run, consider investing in a hydration pack. This will enable you to sip as you run while wearing your latest pair of New Balance shoes. At this time of the year, it is best to lace up your Keen shoes and go on your run as early in the day as possible – before temperatures rise too high. This will prevent you from having to struggle with high humidity levels as well. During summer, it is normal for your feet to swell a little more than normal after a run. In most cases, this can be countered by using shoes that are a half size bigger than normal and by increasing your intake of water and electrolytes. Try to elevate your feet for 20 minutes to half an hour after running, as this can help reduce swelling. If the heat of the asphalt or pavement is too much to bear in summer, now may be the time to consider moving your running on to the cooler forest or park trails. In most cases, these are shaded, which can help prevent you from becoming overheated or sunburned. You may need to invest in one of the many Keen shoe options that have been manufactured for this purpose. It is essential to wear shoes that have not only been designed for the type of running you do, but that are also the right size. Having a proper fitting when buying a New Balance or Keen shoe model will help prevent chafing and blisters from developing, and you should be able to fit at least 1 finger between the back of your foot and the shoe. If not, take the next size up. Along with your New Balance shoes, be sure to wear lightweight clothing that is moisture-wicking and breathable, as this will ensure that you are able to enjoy your run as much as possible without overheating. Clothing should also be light colored, as this will help deflect heat away from your body. Using the right New Balance or Keen shoes while running will make all the difference between enjoying your run and having to hobble around for days afterwards due to blisters or painful feet and arches.